Fill in your details below and we will let you know within 24 hours if we can get Penny Lane to you with haste! 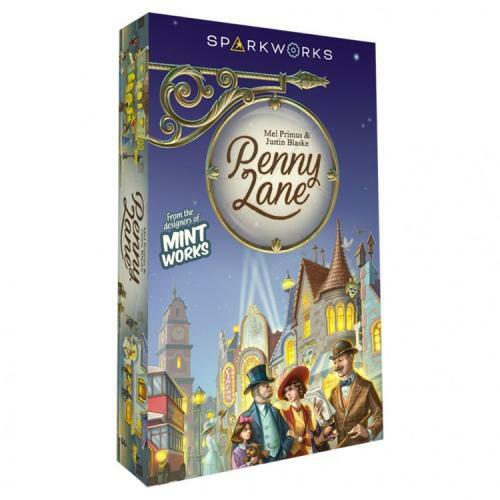 Penny Lane is a worker placement game for 2-4 players in which players compete to build the most prosperous city avenue. You can build residences, shops like the Confectioners, and attractions like the Penny Arcade! You'll also need to employ citizens to generate income for your lane. Penny Lane also has a tableau-building component, where players can get bonus points or currency by aligning their buildings with different "links."